Splenocytes are a simple and easy way to obtain immune cells to perform population analysis and/or functional assays. The isolated splenocytes consist primarily of B cells and T cells, but also include antigen presenting cells and some innate lymphocytes, such as NK cells and NKT cells. 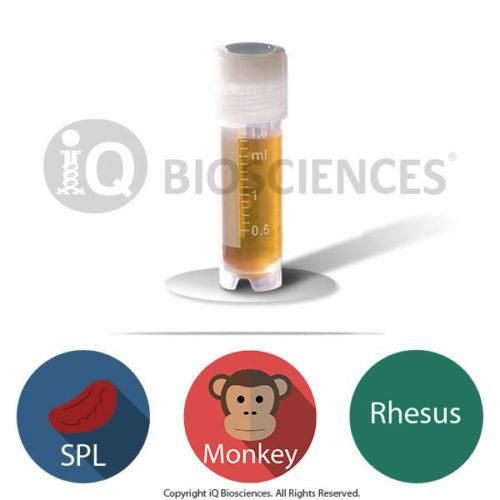 At iQ Biosciences, we strive to provide the highest quality cryopreserved splenocytes by isolating them through a rigorous and quality controlled protocol. The spleen tissue is carefully removed from the animal and mechanically dissociated to obtain a single cell suspension under sterile conditions. The suspension is then carefully passed through a filter to remove any fat and/or connective tissue, and subsequently depleted of red blood cells in a manner that is not damaging to the other cells. The purified splenocytes are then frozen based on own quality controlled cryopreservation protocol to promote recovery and viability once in the end user’s hands (see our blog on uses of cryopreserved samples). Together, we believe our stringent process for isolating and cryopreserving splenocytes will help researchers achieve their experimental goals. 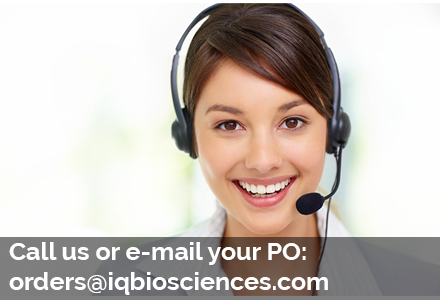 To purchase from iQ Bioscience’s current inventory, please follow the order instructions below, or contact us via our online contact form or phone at (650) 383-7515. Remember to ask us about our academic institution promotion!